"WE HAD OUR OWN PRIVATE ISLAND - OUR OWN BEACH, OUR OWN SWIMMING POOL, THREE PEOPLE TO WAIT ON US - JUST UTTER HEAVEN." "I TELEPHONED MY WIFE, AND I TOLD HER WE HAVE TO COME BACK HERE. YOU HAVE HERE A SPECIAL PLACE." 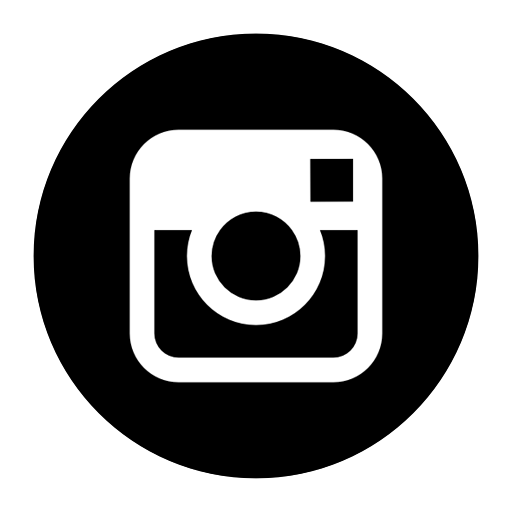 "THE SURROUNDING IS BEAUTIFUL, THE STAFF IS FANTASTIC, THE FOOD IS INCREDIBLE. IT'S GOING TO BE A BIG SHOCK GOING BACK TO LONDON." 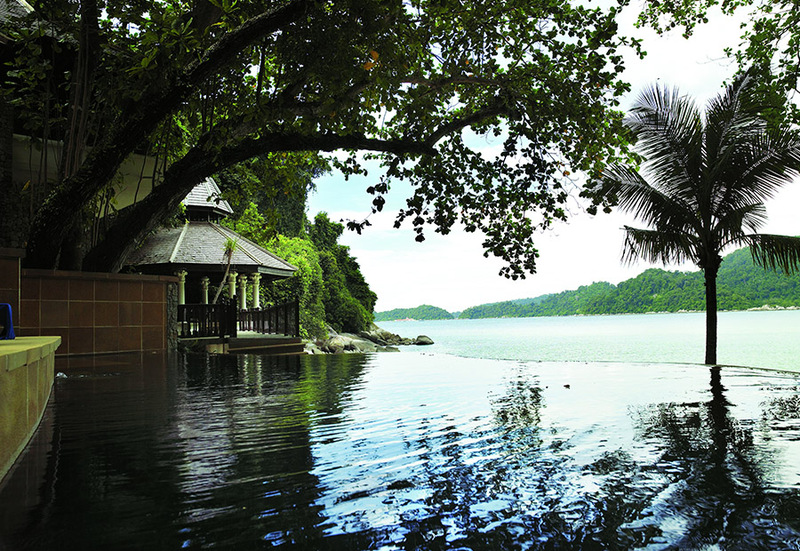 The Estates at Pangkor Laut Resort represent Southeast Asia’s past gentry, conjuring an atmosphere that recalls the romantic lifestyle of a British estate manager of old Malaya. Situated on the northern part of the island, each of these eight private sanctuaries feature luxurious comforts, house between two to four bedrooms, separate living and dining pavilions, as well as a private pool with dramatic views; all set across acres of pristine rainforest. Estate One, Two and Four are beachfront featuring a natural marine aquarium at their doorstep in the form of the cove’s waters. Estate Five to Nine, sited on hilltops within the rainforest, are magnificent examples of living in a colossal natural arboretum. A personal butler on call serves every estate and a private chauffeur-driven car is available, should one decide to venture around the island where a litany of pleasant surprises await at the main resort. Situated at one horn of Marina Bay's crescent-shaped shore, Estate One enjoys a secluded bay and a panoramic view of the beach. 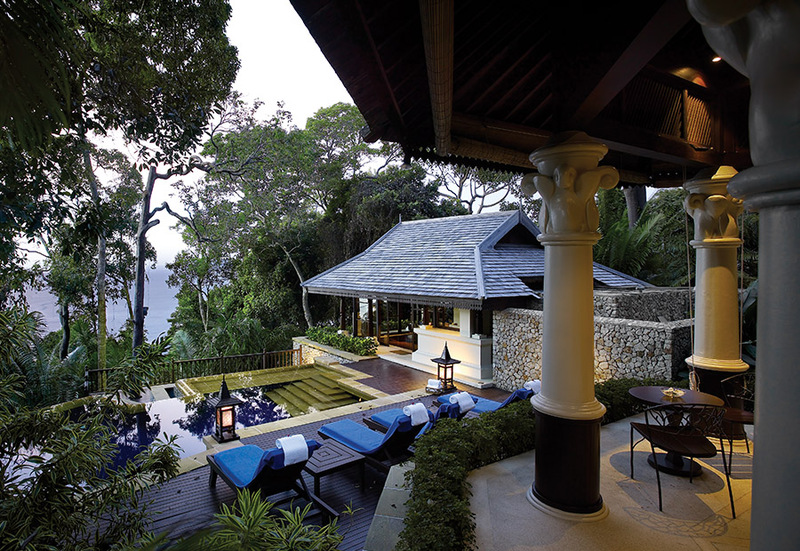 Dominated by an infinity pool providing views over the clear, warm waters of the bay, one of its bungalow bedrooms has a fossil wall feature attached to a private jacuzzi sited within a walled garden. As an intimate and cosy hideaway, its seclusion is much appreciated by those looking for a quiet, contemplative retreat. Closest to the sea, Estate Four features a stunning free-form infinity pool that optically spills over into the sea with views of beach and ocean, a living pavilion built directly over the waves and a cosy bamboo screened resting pavilion. Its multi-levelled layout provides a sense of privacy without the feeling of being enclosed. Affectionately referred to as the honeymoon estate by newlyweds for its romantic ambience, it is also much loved by families. Located in the private enclave of Marina Bay within metres of the shoreline, Estate Two winds around a natural fresh water pool. 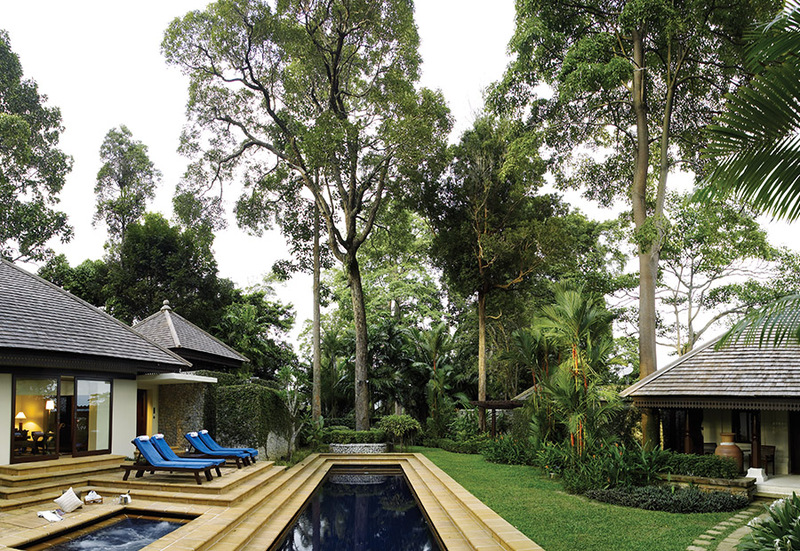 A carved wooden bridge across the pool links prehistoric tropical palms with native bamboos and the rest of the estate. 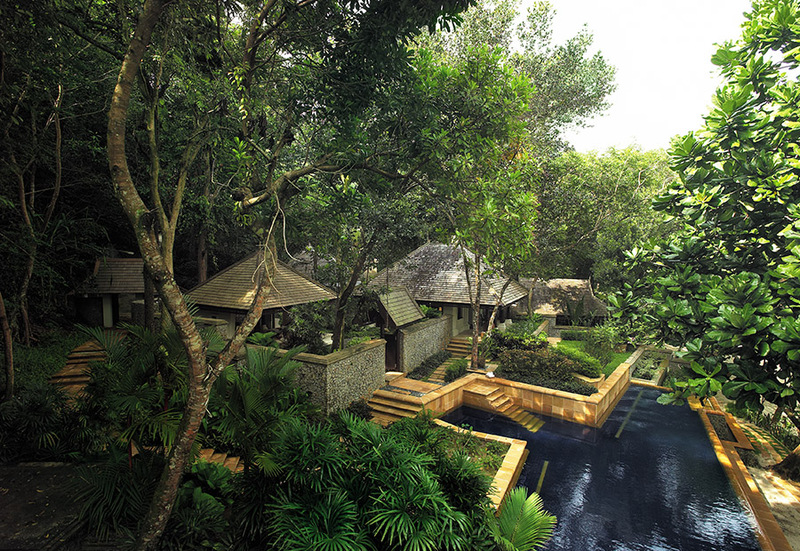 Of its three bungalow bedrooms, two have outdoor baths in their private gardens, while the third has steps leading directly from the bedroom into the pool, perfect for a romantic moonlight swim. Estate Five rests at the eastern tip of the semi-circle of hilltop estates. 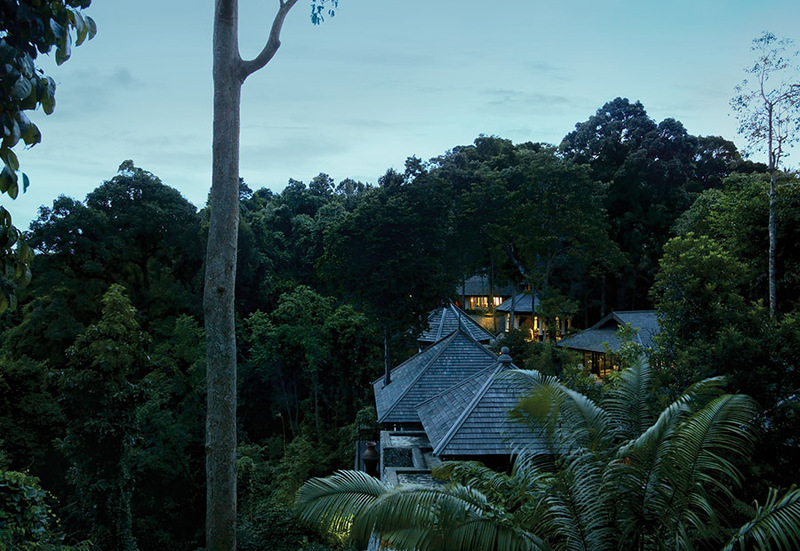 Featuring 270-degree panoramas of the rainforest and sea, it is the only estate with a wide wooden deck strategically placed to offer the best view of the Straits of Malacca over the canopy of rainforest trees. The centrally located deck is a favourite with guests who enjoy outdoor parties and barbecues, the perfect spot to relax in the evenings under a velvety indigo sky, with the lights of Pangkor Island in the distance. The sunniest of all the estates, Estate Six is sprawled beneath age-old lofty trees that line its eastern ridge. A largely open area, it is anchored by a long lawn and lap pool providing a natural congregating point for families and parents with children can keep watch over their young at the lawn or pool from their bungalow bedrooms. 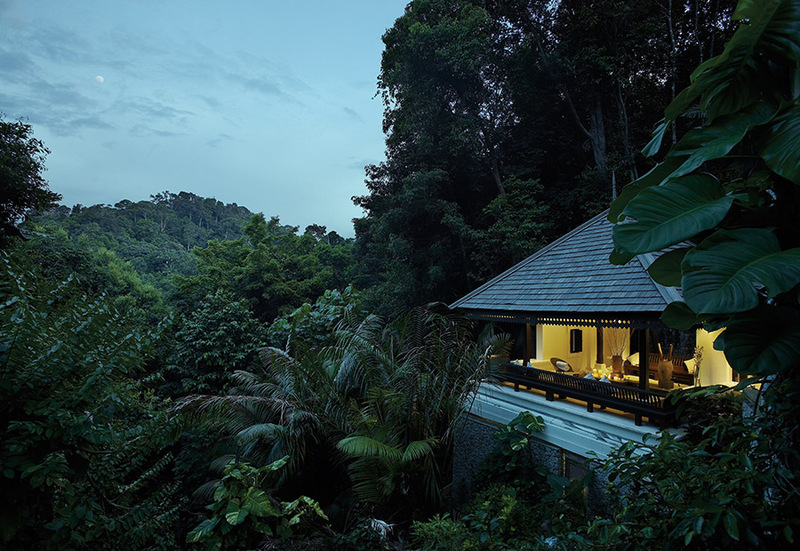 A hot spa just next to the pool is an added attraction, while each of the three bungalow bedrooms features a private balcony or verandah with views of the rainforest. With the rainforest canopy overhead, Estate Eight appears to lie beneath a colossal dome of living breathing leaves, held up by pillars of ancient trees. The bedrooms feature two layouts – a tower design with double volume bay windows, and another with a tree shaded verandah. 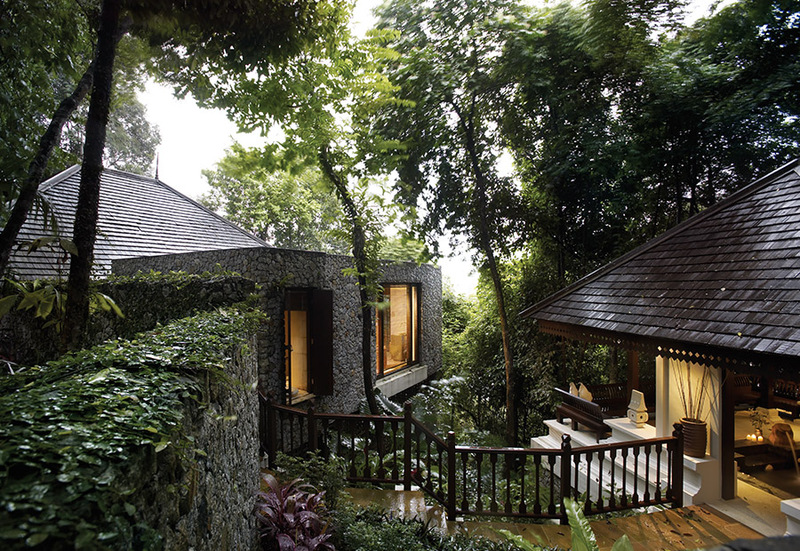 Perched on the edge of a hillside, each bedroom has a sea facing private balcony and deck. The dining pavilion has beautiful sunset views, while the living and sitting pavilions overlook a lotus flower inspired infinity pool. As one of the largest, and hilliest of all the estates, all the structures of Estate Seven are built on staggered levels, following the varying slopes of the land resulting in different bungalow bedrooms enjoying the most secluded and expansive private spaces. With bedrooms and pavilions further from each other than in other estates, this discrete layout appeals to groups who also prefer some time alone within their own personal garden space. Featuring a natural rock garden of ancient monoliths, Estate Nine enjoys spectacular views - its living and dining pavilions face the ocean and salty sea breezes, while the balconies of its bedrooms overlook the rainforest. 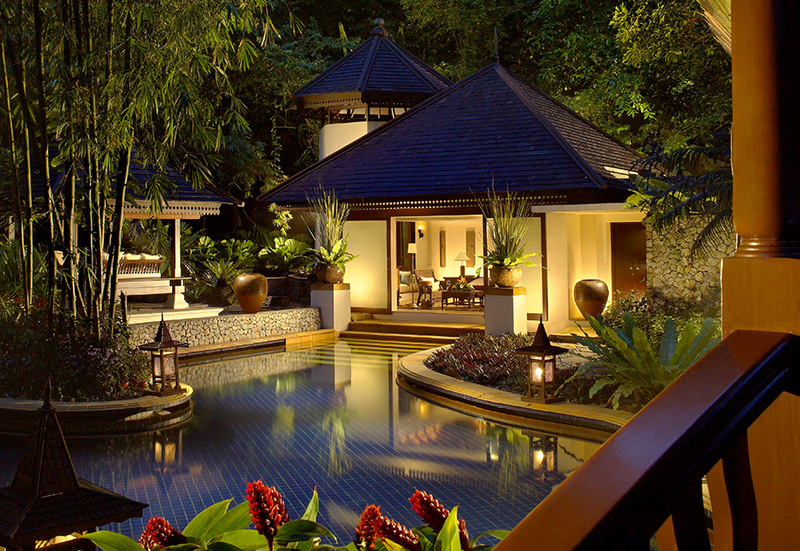 Perched on a natural high point overlooking the pool and viewing deck, is the hot spa pavilion. Unlike the other private bath pavilions that have exclusive access from the bedrooms, this hot spa is designed to be a communal bath, in the tradition of Japanese onsen.